U.S. circulating coin production slowed in November from October but ran much quicker than a year earlier, the latest manufacturing figures from the United States Mint show. The Federal Reserve orders more 1-cent coins from the U.S. Mint than any other denominations even as it costs 1.5 cents to make and distribute each one. 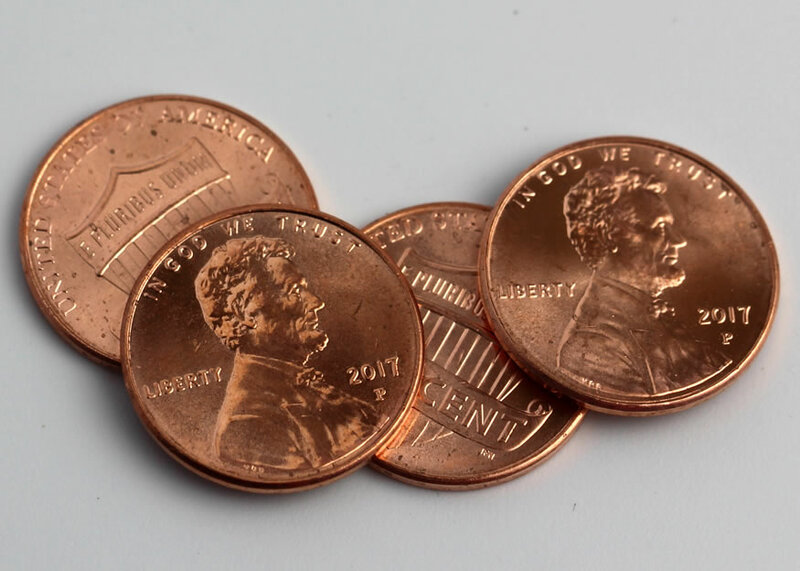 The agency struck 782.4 million Lincoln cents in November for 58.1% of the circulating-quality coins produced during the month. 2017-dated circulating cents from the Philadelphia Mint carry a ‘P’ mint mark for the first time in history. This is a one-year-only embellishment, added as a part of the U.S. Mint’s 225th anniversary celebration. These P-cents are not rare, however, with more than 4.1 billion made through the first eleven months of this year. 22.3% more America the Beautiful Quarters. Production facilities in Denver and Philadelphia manufacture all of America’s coins for commerce. 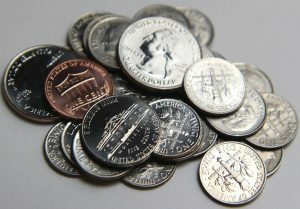 Last month, the Denver Mint made 637.76 million coins and the Philadelphia Mint made 708.5 million coins. Year-to-date figures at 6,898,360,000 coins from Denver and 7,198,140,000 coins from Philadelphia total 14,096,500,000 coins, representing an 8% decline from the 15,320,730,000 coins minted by the same time last year. This year’s monthly average of more than 1.28 billion coins tracks over 12 months to about 15.4 billion coins. The U.S. Mint produced over 16 billion coins for circulation in 2016 after making more than 17 billion coins in 2015, the most since 2001. Production figures include 215 million quarters that have yet to be officially assigned to a coin design. These are George Rogers Clark National Historical Park quarters. The coin’s final mintage will be available in January.